For Christmas my sister gave me some bulbs to raise indoors; four narcissus and an amaryllis. I enjoy plants and flowers so it was a sure bet for me to consider them as a great gift and I do. Who needs extravagance when you can have a bit of God's creation to behold? Full of patience and discipline-(she said with her tongue embedded in her cheek), I planted the bulbs immediately, neglecting chores and anything else that had a prior claim to my time. As reward for my labors the narcissus are in bloom. As I sit here and type their fragrance is sweet and permeates the house. The scent is lovely but could have become overbearing easily enough. Fortunately the weather hasn't been at all normal and I've been able to have open doors and windows. It feels special to have them, like they have grown quickly in response to my tender care. The amaryllis, on the other hand, I feared was a lost cause. 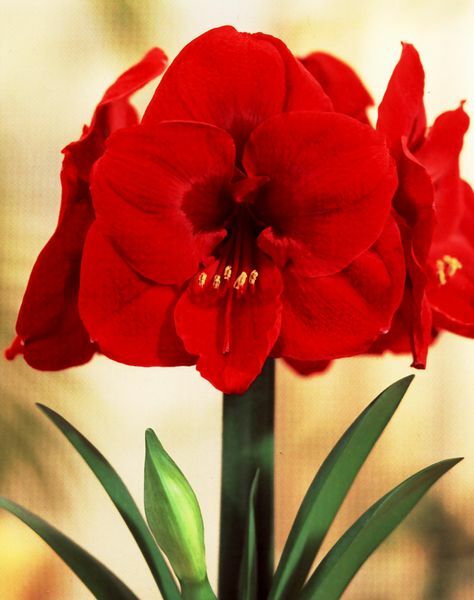 In the same time span the narcissus have grown, bloomed and are now dying back, the amaryllis had not, by all appearances, seemed to grow at all. I despaired that it never would. Today, as you may well have suspected by the tense of my verbs, adverbs and adjectives, I discovered that the amaryllis is alive and doing fine. I made the discovery as I picked up the pot and headed to the garbage can. I came that close to throwing it away. My old cowboy mentor used to tell me that before a horse does something it gets ready to do something. If you learn to recognize him getting ready, you have a chance to change his mind. He also told me that people were the same way. Most of what I learned of value in communication with others, I learned from him. He was a wise and plainspoken man. I wondered this morning what sort of cowboy wisdom Dusty Rhodes might impart about my amaryllis bulb? Before long I was thinking about sanctification and judging people by their fruit. I didn't initially see the nub of life on the amaryllis bulb. The soil that came with the bulbs is very similar to sawdust or peat and when I grabbed the bulb to toss it, I didn't expect resistance. Though the bulb appeared dead and lifeless from what I could see, what I couldn't see were the elaborate root systems below the soil line that anchored it in the pot. That little bit of unexpected resistance made me look for the cause and in this case, I found life. It wouldn't take very much effort at this point to come up with some cheesy metaphors and analogies comparing people with the secret life of this flower bulb. I could spin the story to say if Christians offered the world a tiny bit of resistance the world would be more likely to investigate what makes us tick. Or I could say people are like the bulbs, their road to sanctification and the landmarks they find along the way are different and need different amounts of time to complete. Perhaps I could remind you that you don't really know what's going on unless you look at the whole picture. You need to consider factors that you might not see unless you investigate beneath the surface. A sermon on patience, perhaps? There are a plethora of possibilities. Maybe I will just tell you that I am happy to report my amaryllis is alive and well. I am stoked to see what sort of bloom I get from it and to find out if it is going to be fragrant like the narcissus. I might make it my science experiment and take pictures of it as it grows. Mostly I want to enjoy it while it's here. I planted the bulbs in anticipation of flowers to enjoy. When I thought the amaryllis was dead, I was disappointed. Now, the anticipation has returned and it makes me feel giddy as a kid anticipating a trip to Disneyland. The fact that my sister knew I would enjoy it is worth countless riches to me. That's all. My amaryllis lives, I am happy. The end. Make your own analogies and comparisons, I have to get back to my bible study.